The world population is reaching a new balance. In 2010, over half the world lived in urban areas and by 2050 that proportion is expected to reach nearly 70%. As a result, the United Nations is demanding a change in how we think about the construction and reconstruction of urban areas. Energy Neutral Cities: creating more reliable models to estimate the effects of renewable energy technologies and promote energy savings through smart infrastructure design (e.g. autonomous vehicles) and behaviour adaptation. An interdepartmental program between the Built Environment (BE) and Industrial Engineering & Innovation Sciences (IE&IS) departments, the CME program possess a distinctive research-driven and project-oriented approach to education. You will use a combination of urban/building sciences and management and innovation sciences to develop solutions for smart urban development. The two-year CME master’s program is part of the 4TU Federation, which comprises the four universities of technology in the Netherlands. The CME program is coordinated between TU/e, TUDelft and the University of Twente, giving you the possibility of taking elective courses at each location. The TU/e CME program was ranked highest amongst the 4TU-CME programs according to Elsevier studies 2017 and the Keuzegids Master 2018. If you choose Construction Management & Engineering in Eindhoven, you choose an interdisciplinary program about building management with a scientific and technical focus. The courses and projects are provided in partnership by two departments, each with its own competence profiles, traditions and networks. This not only ensures that the program is of high quality, but also that it is highly interesting and stimulating. Courses are lectures by teachers with a strong academic and/or professional reputation. Graduation projects are individual projects, often in cooperation with a business partner. Business partners are eager to be involved and they can be found in Eindhoven region, also known as Brainport. Altogether this means that graduates of the CME Master's degree program are assured a highly valued diploma. The scientific and social relevance of the CME program is beyond doubt and offers long-lasting career opportunities for CME graduates of the TU/e. CME graduates find jobs at: engineering consultancy offices, governmental institutes, start-ups, and contractors. This applies to all students, irrespective where they come from, because the CME program has a very international scope. These prospects are evidenced by the CME alumni association. CME at TU/e has a unique position, not only in terms of its existence in the Netherlands, but also in terms of its scientific embedding at TU/e. It involves a cooperation between two domains of science: Built Environment and Industrial Engineering & Innovation Sciences. The CME program has a clear scientific signature: strong involvement with research activities, organized and captured within two research schools: DDSS and Beta. CME students can be involved in state-of-the-art research projects, often funded from EU and national research funds or from industry, and learn from top researchers in the field. Watch the video about smart cities! What are the prospects after I received my CME diploma? What is the benefit of the 4TU-CME collaboration? The CME degree program is coordinated between the three universities Eindhoven University, Delft University, and University Twente, with compulsory, common courses, and with elective specialization courses, that are different at each university. 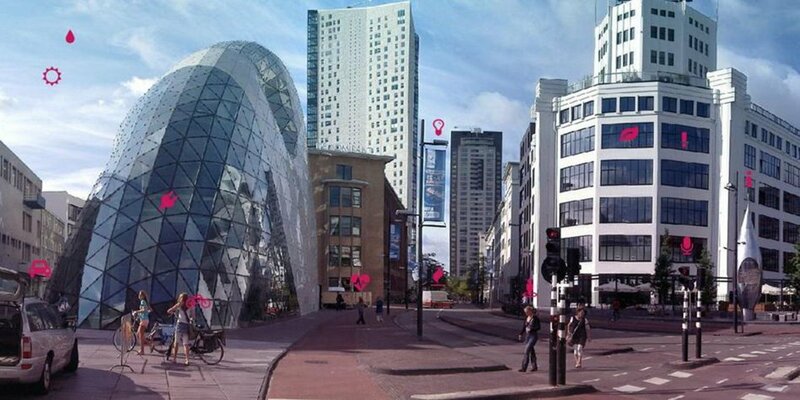 The CME program at the Eindhoven University focusses on subjects around the theme of Smart Cities. However you can discuss with your mentor if you can include courses from the other locations in your study plan that fit with your personal ambitions.